The first thing to do is to decide exactly what it is about your present kitchen that you really like, and what about it you do not like. Then make a list of questions such as the following: Do you have enough counter space? How about storage capacity? Is your food preparation area large enough? Is everything you need convenient, or do you have to keep going back and forth across the kitchen to complete each task? Lighting needs? Flooring? Countertop choices such as Granite, Quartz, Corian or Laminate? If more counter space is needed, where can you fit it in? If more storage space is required, can you add another pantry, or perhaps expand or deepen the one you already have? If you find yourself traveling too far to accomplish tasks in the kitchen, can you add an island in the center to make things more handy? If you have more than enough pots and pans, can you hang some of them on the wall? Other considerations include making things more convenient in your kitchen. For instance, can you arrange the microwave to be very close to the food preparation area? This will help you quickly and easily heat and defrost food as you go. Likewise, the dishwasher should logically be close to the cabinet where your glasses are stored. The refrigerator is usually the most used appliance in the room, so why not try to centralize it in your new kitchen design. Kitchen Renovations Don’t Have To Drain Your Wallet! 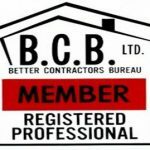 There is a time when you may look around your kitchen and just get that unshakable feeling that now is the time to renovate. When it comes to renovating kitchens, Rochester residents consistently turn to High Point for the results they just love to show off. With decades of experience and an unstoppable passion for quality workmanship, Jim Brown has shaped High Point to be the respected renovation and construction leader it is today. A kitchen is about much more than looks. While other room renovations may simply be about aesthetics alone, a kitchen is one of the most used and functional rooms of the house. Ease of function truly matters in the kitchen. Without the kitchen functioning with the ease and accessibility the user craves, the look and flair of the cabinets or color of the walls simply doesn’t matter. High Point understands renovating kitchens Rochester area residents love means combining improved function with improved looks. Some current trends in kitchen renovations High Point is able to deliver include increased food prep space, more storage, updated appliance installation, and the latest in cabinetry and countertops. Incorporating an updated look with the latest in gadgets and space saving accessories is just some of the latest renovations going on with kitchens Rochester residents are quick to brag about. A kitchen renovation does not necessarily have to be a complete overhaul of the space either. Regardless of your budget, there are improvements High Point can help make a reality for you. You may want to get a start on updating the look and save any reconstruction or updating of appliances for later. One way to greatly improve the look and feel of a kitchen with a low budget is to do a resurfacing of the cabinets. This can make just enough of a “new” impact to give the entire space a refreshed look. Kitchens Rochester home owners have had resurfaced are just as renovated and new looking as a complete top to bottom renovation. This can add a new lighter or softer tone to cabinets or it can make dull cabinets exciting and fresh again. Adding new knobs and drawer pulls can be an affordable way to further enhance the look of resurfaced cabinets. In these tough economic times, High Point is seeing more and more of these partial renovations in the kitchens Rochester folks are looking to update. A resurfacing may also be a quick and easy way to give a kitchen that more modern look if you are trying to sell an older home. Kitchen Renovation Should Be A Breeze! Highpoint Construction and Renovation, Inc. brings over 20 years of experience to the table. The reason Highpoint manages to stay on top in the Rochester area when it comes to building and kitchen renovations Rochester area residents trust in is because Highpoint has the distinct ability to change and evolve with the times. As a member of many esteemed professional groups nationally and in the Rochester area, Highpoint manages to grow and improve on a continuous basis. 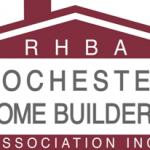 When it comes to a kitchen renovation, Rochester home owners know Highpoint Construction and Renovation, Inc. is the company to turn to. A kitchen renovation can take on many shapes. It may just involve resurfacing existing cabinets, updated appliances, or it can involve a complete, from the ground up, overhaul. If you are looking to update a space on a budget, a resurfacing job or simply replacing the countertops with a more trendy material, such as granite or faux marble, may be all that is needed. A simple and affordable change like this can have a dramatic affect over the entire space. A full kitchen renovation for a Rochester home may entail much more work; but with Highpoint at the helm, it will get done right and to the complete satisfaction of the customer. Letting a kitchen remain the same decade after decade is a detriment to the overall value of the home. If you decided to sell, it can hamper the asking price and significantly bring down the value of your home. On the other hand, no one can afford or has the desire to constantly change the basics to suit every trend that comes and goes. A balance between the two is ideal and Highpoint can help find that balance while taking finances into consideration. Taking a look at current trends that make sense and seem to appeal to the masses may be the best option. 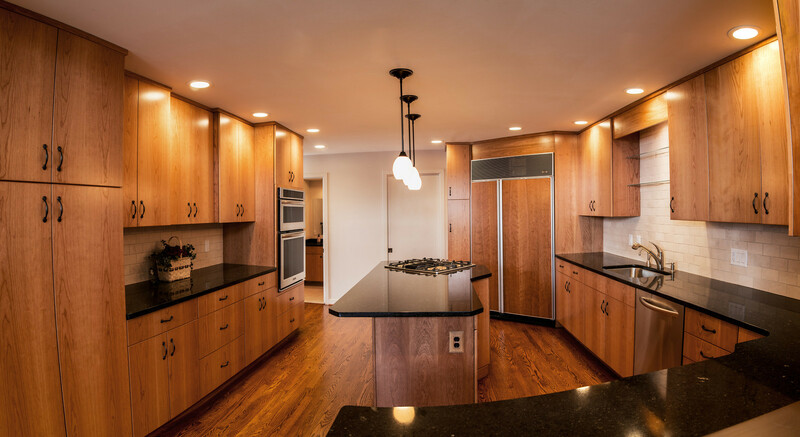 There are plenty of before and after shots for potential Highpoint customers to browse through before deciding on what exactly the kitchen renovation of their Rochester home will entail. Some of the current trends in kitchen renovations Rochester residents have been turning to Highpoint for include frosted glass over cabinets. Kitchen islands that function as a gathering spot and a work space are also very popular, as the kitchen continues to be the heart of the home. Specialized storage spaces are also gaining in popularity. Drawers that act as warming drawers and pantry’s that are designed for today’s family are also current trends Highpoint is able to add to kitchen renovations Rochester area homes are wanting. Kitchen renovations Rochester area residents are requesting are taking many shapes and forms. As the home evolves so does the capabilities of Highpoint Construction and Renovation, Inc.; the most trusted name in kitchen renovations in the Rochester area!